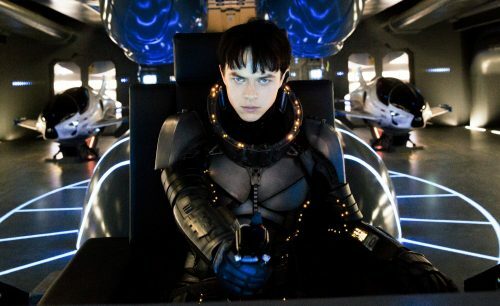 Luc Besson is back and this time behind the camera. This is actually a true “Luc Besson film”. He has actually directed this one and not just produced it as he’s been doing in the last decade. Valerian & the city of a Thousand Planets has Luc back to his Fifth Element days with this interestingly sounding sci-fi film. That comes across in the below, first, image from the film. It’s not as bonkers as the costumes designed by Jean Paul Gaultier. They look almost normal.